John K. Cannon was born in Salt Lake City in 1892. He attended school at he Utah Agriculture College in 1914. He joined the military shortly after, and was prmoted to the rank of Second Lieutenant in the Infantry Reserve. He was stationed at numerous camps around the Bay Area as well as the East Coast. Cannon learned to fly planes for the military and was being promoted through the ranks rapidly. Cannon was a revered combat commander and a former chief of the airforces in Europe, during WWII. At the start of the war, cannon was deployed as the general of the 12 Air Support Command over the course of the invasion of French Morocco. Soon After his success in the invasion of French Morocco, Cannon was moved to Algeria to command a bombing squad. In Algeria, Cannon trained troops for the Mediterranean theater. Soon after, he was promoted to commanding general of the Allied Tactical Air force, which was in charge of the air operations for the invasion of southern Europe. After this campaign, Cannon was promoted to lieutenant general and then named air commander in chief of all Allied Air Forces in the Mediterrannean Theater. His final promotion was becoming the commanding general of all U.S. Air Forces in Europe. Because of Cannon's duty he was rewarded with a Legion of Merit badge, Bronze Star medal, Air Medal, and four Distinguished Service Medals. He also received numerous decorations from European allies, such as France, Great Britain and Poland. After the war Cannon served as the commanding general of the U.S. Air Forces in Europe, he was later promoted to Commander in Chief. When he returned home he was appointed as a full general. He retired from service in 1954. He died one year later to a heart attack in 1955, in his home at Arcadia, CA. 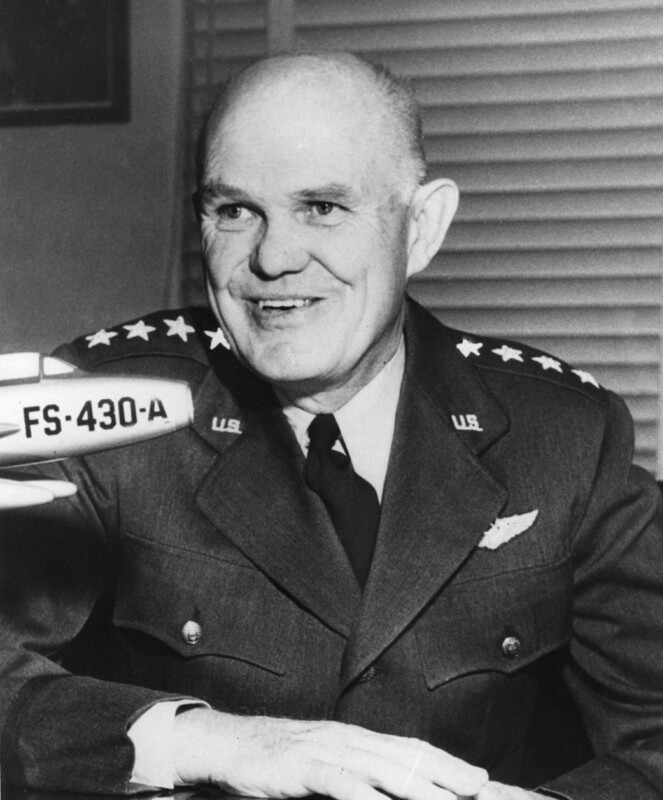 Cannon Airforce base in clovis in New Mexico was named after cannon for his outstanding service and achievements..